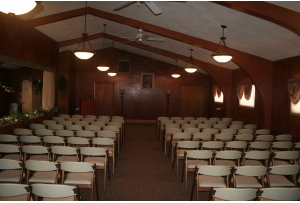 Jacobsen-Greenway-Dietz Funeral Home – St. Paul, NE Originally built in the 1960’s, new lighting, carpet, drapes, sound and video systems were updated in 2005. 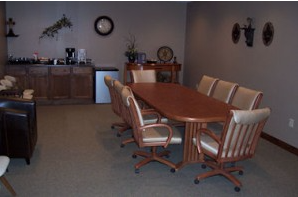 After remodeling and reducing the size of the casket selection room in 2009, we now have a family conference room that also serves as a place for families and friends to relax during a visitation. The video and sound systems allow families to personalize services with video tributes and special music. A Clavinova is also available for a pianist or organist. 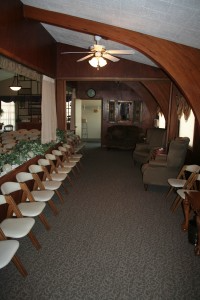 The sound is carried throughout the funeral home. New video equipment purchased in 2010 makes it easy for videos to be taken and shown in the churches. 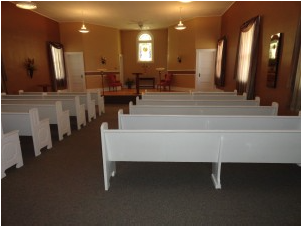 The chapel will seat 121 with the family room being able to seat 45 – 50. The newly added canopy allows families to be protected in inclement weather. 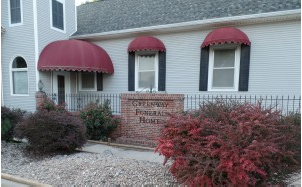 Greenway-Dietz Funeral Home – Palmer, NE Greenway-Dietz Funeral Home has been at the same location since the late 1960’s when the business was moved from the downtown area after Bill Greenway, Sr. bought the old United Methodist Church. 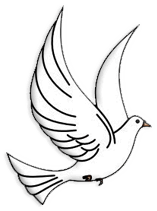 He took over the funeral home from Lee Nicholas in 1955. 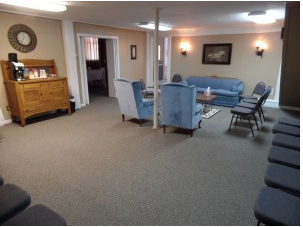 Upon his retirement in 1988, the business was sold to George Palmer, which he and his wife Judy operated until July 2009 when Bill and Darby bought the business and it again became Greenway Funeral Home. 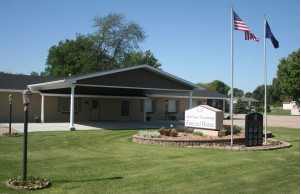 Tracey Dietz purchased the funeral home from Bill & Darby in January 2019. 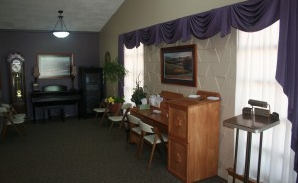 The funeral home has been redecorated, along with an upgraded sound system and an electronic piano.